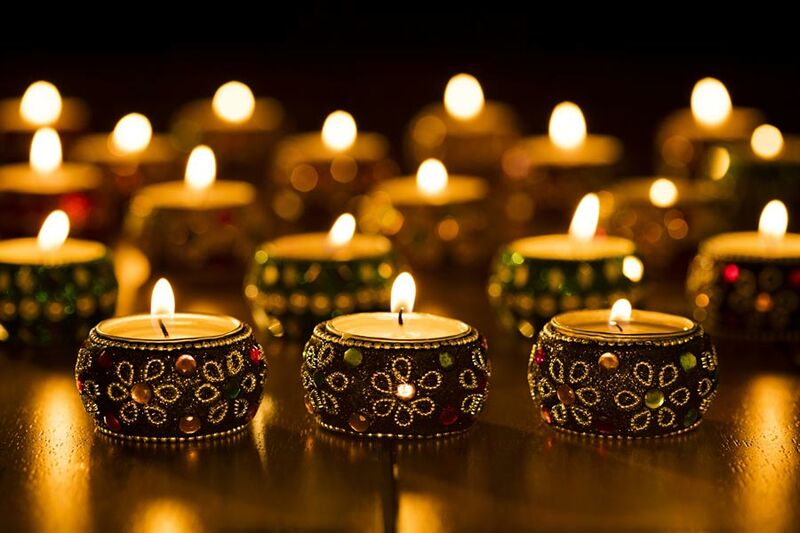 Diwali story candle decoration and Deepavali celebration ideas: Every year, Indians wait for Autumn just like the western part of the world, who await the same season. While they celebrate Halloween, we get to celebrate Diwali. However, Diwali has no fixed date and follows the Hindu Calendar and not the Gregorian Calendar. Different people have different meanings to the festival. Each of their reasons is equally celebrated and loved. 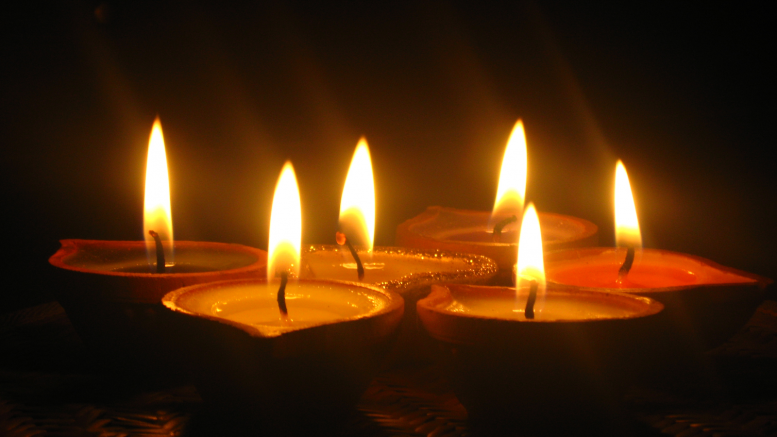 Today, we shall tell you about the real meaning of Diwali. Diwali is comprised of innumerable reasons like we have mentioned. However, there is one story that makes way for the iconic Happy Diwali Story that we, as children have grown up listening to. The festival is all about the return of Lord Rama (A Reincarnation of Lord Vishnu) to his kingdom, Ajodhya. 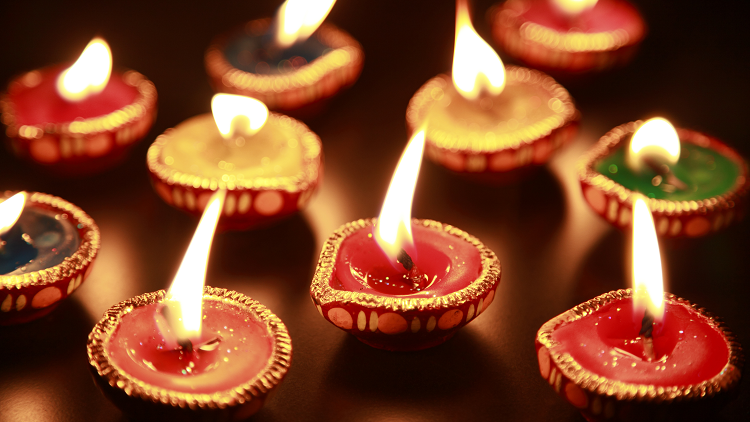 Diwali was first mentioned in one of the greatest epics of ancient India, The Ramayana. This famous epic was composed by author Valmiki in the Sanskrit language. It is an epic poem to be precise that narrates the struggle of the Divine Prince, Lord Rama and his journey to Lanka to rescue his wife. It is believed that Lord Rama’s wife had been abducted by the demon king of Lanka, Ravana. The poem describes the journey of Lord Rama and his fourteen years of exile to a forest, to live as a sage, giving up all the royalties of a prince. In his journey, he was not alone who had been sent to exile, his wife Sita and his half-brother Lakshman had decided to go along with Lord Rama. Upon his beginning of life as a sage, everything was good until the time Ravana had abducted Sita for his younger sister was hurt by Lakshman. Also, it is clearly mentioned that when Sita’s husband choosing ceremony was taking place, the hosts had insulted Ravana who was present there. His pride had been hurt that day and in due course, it took the form of something extreme. His anger had grown to such heights that upon his sisters complain, he cunningly captured Sita and kept her captive at Ashoka Vatic at present-day Sri Lanka. It was a grave mistake of Ravana for it instilled a war between the two clans. Although, Ravana was a smart, strong king he had a weakness. Lord Rama had knowledge about it through Ravana’s own brother confessing to him. Therefore, Lord Rama along with his army of monkey’s, Lord Lakshman, Lord Hanuman, the King of the Ape Kingdom and other powerful associates fighting by his side, Lord Rama was successfully able to defeat the demon king and bring his wife, Sita, back home. Therefore, upon his arrival to his kingdom, Ajodhya, after sundown, his kingdom welcomed him with flowers and gifts and made sure there was light. The entire kingdom of Ajodhya was lit up with clay lamps or Diya’s(Download Diya Images). The lighting up of the kingdom not only marked as a way of providing light, but it also had a deep meaning to it. The light signified Lord Rama’s victory over evil. It meant that good shall always see the light and not be consumed by darkness. Therefore, Diwali is a festival of lights and celebrators burn candles, firecrackers, clay lamps, etc to celebrate the victory over evil every year. This festival gives everyone hope about the significance of good and evil. It paves a way for people to do good and not be tempted by the bad vibe or the negativity. Every one of us who celebrate Diwali, consider it as a time when we forget all the negativity and mishaps that had caused us an of suffering and to rise as a new person, a positive human being. The purpose of bursting firecrackers and lighting up our entire household with lamps and candles in the night is to welcome the light in our lives. It is to tell the darkness that good will always overcome evil. No matter how dark our lives get, the light will eventually come. Well, that was the story and a subtle synopsis of the meaning of Diwali and the history that backs it. now that it is clear to everyone who wanted a little insight of this glorifying festival, let’s move on to the best part, decoration. Yes, decoration on Diwali is a must! It cannot be avoided. To the most to least fortunate, everyone has their own way of welcoming light into their homes once a year during this festival. 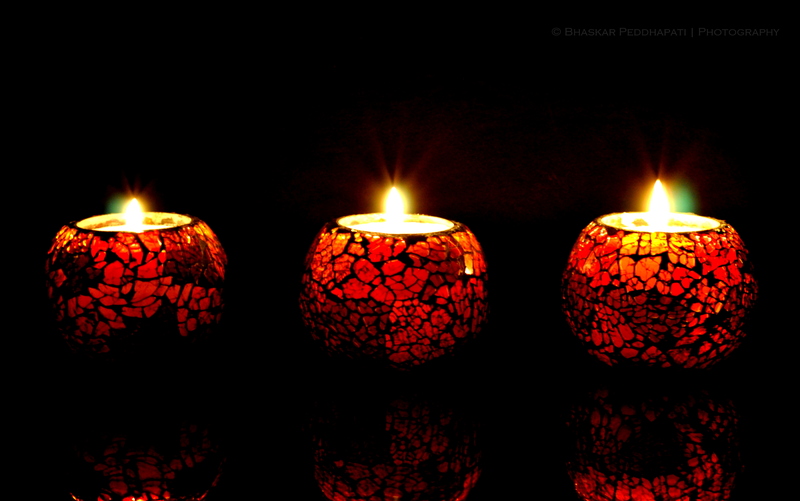 Well, every year, people go crazy about the Diwali candle decoration ideas. With so many heads thinking and giving tons of ideas, it just gets more confusing. Why not do something different this year? 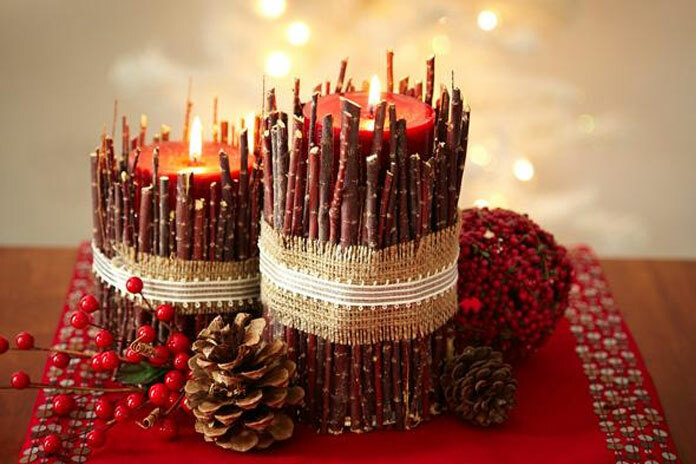 No pollution candles: Yes, we know it is the festival of lights. Why not make paper candles that resemble them and fix them on the white rice lights to give it a candle effect? The best part, it will not be causing any pollution. Battery candles: These days, the battery-operated candles are a rave as it looks exactly like a candle but does not burn. It has a light and looks like a burning candle. The same thing comes as clay lamps and lanterns. Scented candles: Not plain scented candles, this time around, DIY and add glitter to them to add some spark. It doesn’t go waste for the candle continue to burn, just change the wick. Organize outdoor activities like Musical Chairs, Rainbow Tag, Yard Twister, etc. Organize indoor games like Antakshari, Charades, Bingo, Scavenger Hunt, Hot Potato, Simon Says, etc. Organize healthy contests for children to participate. Well, a celebration for Diwali differs from person to person. However, it all culminates to one big celebration involving food, sweets, gifts and good wishes for everyone. Nobody is a foe, everyone is a friend. Therefore, we hope you have a Happy Diwali and have a great time decorating and celebrating this festival.